I got to “Undertale” late, and by the time I did it had already stirred controversy. The 16-bit-style role-playing game, released in the fall by the indie developer and composer Toby “Radiation” Fox and published for Windows and Mac PCs, won a December readers’ poll at the gaming site GameFAQs, naming it not only the best video game of the year but the best game ever. Now that I’ve played it, I can understand why it has developed such a fiercely loyal community. 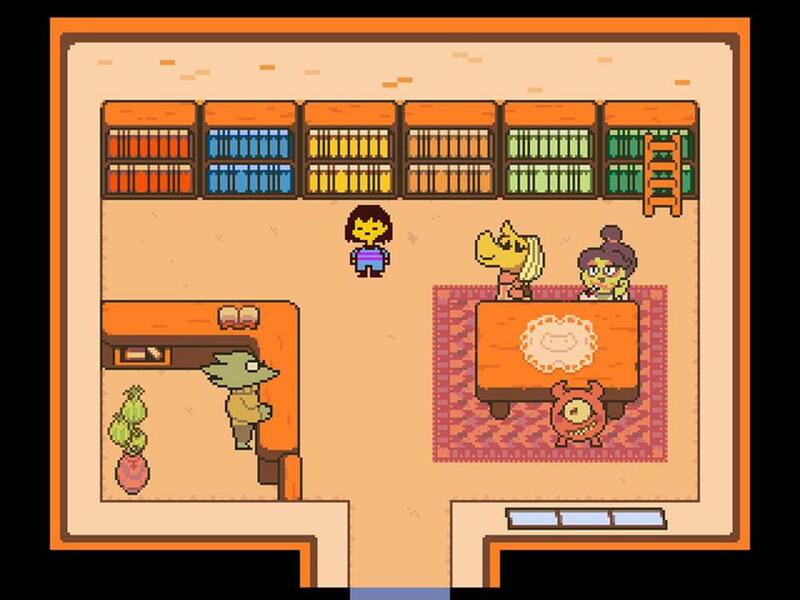 No, “Undertale” isn’t the best game ever, but it has a feel to it — and a heart to it — that is exceedingly rare. The basic premise is simple: You play a kid who falls underground into a world populated by monsters who have a long, troubled relationship with humans. Your only task is to get home. Immediately you start meeting zany, interesting creatures, many of them delightfully rendered despite the game’s retro look. This is one of those titles that squeezes every ounce of juice from its graphic limitations. The music is so, so wonderful. Fox, something of a wunderkind, composed the score himself, and it is extremely evocative, bringing to mind both the “overworld themes” (that is, the music you hear when you’re just walking around) and the up-tempo combat themes from the Super Nintendo RPGs of yesteryear. Many moments here brought me back to the countless childhood hours I spent with the “Final Fantasy” series. That ability to progress without fighting is indicative of the broader, fundamental sweetness at the core of “Undertale.” Even many of the meanest-looking monsters are just lonely, or want to be pets, or have stories that, if only you listened to them, would make you empathize. We humans and you monsters aren’t actually that different after all, the game tells us. This is not a normal slash-everything-that-moves RPG. This is something different. Different and wonderful, and I wish I hadn’t taken so long to get turned on to it.